Work on the “Gap Bottleneck Project” is beginning to pick up, with a new traffic pattern established this week in the project area in eastern Lancaster County. The new work is another step in the overall $9.9 million project that’s set for completion in October 2016. For now, the new pattern is in place during overnight hours in the area of the Route 30/Route 41 project, the state Transportation Department announced. A concrete barrier is being installed along the north side of Route 30 just east of the intersection with 41. WILKES-BARRE, PA — Wilkes University is on a mission. The product of a 20-member committee, the university’s Gateway to the Future Strategic Plan was launched two years ago to stake out pathways for meeting future challenges. That proposal took a literal spin Thursday, as university and elected officials broke ground on a $1 million walkway project to connect the campus with the heart of downtown Wilkes-Barre, the latest endeavor in the six-year plan to chisel a traditional residential campus out of the Diamond City’s urban landscape. Within the last year, the university has pledged more than $30 million in upgrades to the campus, including a $33 million science center and an additional $3 million in renovations to the University Center at 169 S. Main St., the future site of the of the Jay S. Sidhu School of Business and Leadership. Lori Minetti often feels stranded in her Carrick home. The closest bus stop used to be across the street. Now it’s almost a mile away, because Port Authority of Allegheny County eliminated the 50 Spencer route four years ago. She walks one of the farthest distances a city resident must go to catch a bus. It seems even farther to Minetti, who has an arthritic back. “It’s kind of cloistered me,” said Minetti, 48, a former temp for Downtown companies who no longer works. Her husband uses the couple’s only car for his job as a maintenance worker in Munhall. The Pennsylvania Department of Transportation will start or continue several major projects on local roads and bridges this year as it spends an estimated $272 million to give drivers a smoother, safer ride. 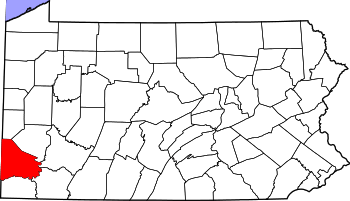 There will be plenty of inconvenience on the way in District 11, which includes Allegheny Beaver and Lawrence counties. PennDOT officials at a briefing this morning stressed the importance of safe driving, including adhering to work zone speed limits. Specific announcements of road and bridge closures or restrictions will come as the events draw nearer, officials said. 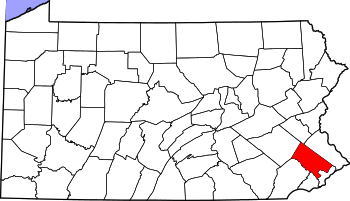 The McDade Expressway in Scranton, Route 924 in Hazleton and a long stretch of Route 29 in Susquehanna and Wyoming counties are among area roads the state Department of Transportation has targeted for repaving this year. The three heavily traveled routes are among 28 stretches of road in six Northeast Pennsylvania counties that PennDOT officials plan for routine resurfacing work this year. They’ll pay for it with new transportation funding from higher fees and gradually increasing gas taxes. Act 89 is the $2.3 billion transportation funding package the state Legislature approved in late 2013. PennDOT did have work on several larger capital pro­jects planned regardless, like the ongoing Keyser Avenue project in Scranton. The Philadelphia area is preparing for another round of snow to hit during the night. The snowfall would be the second the area has seen this week, an unusual occurrence in a winter that’s been nearly snow-free thus far. The biggest threat appears to be hazardous driving conditions overnight, from around midnight through around 6 a.m. Saturday, with snow, ice and a wintry mix threatening to hit much of eastern Pennsylvania and non-coastal parts of New Jersey. Transportation officials were gearing up for plowing and salting operations. PennDot was warning motorists that clearing roads during a storm was a time-consuming operation, and drivers should use caution. Northeastern Pennsylvania public transit riders may eventually take buses directly between Scranton and Wilkes-Barre, rather than having to transfer to a different bus in Pittston to make the trip. Lackawanna and Luzerne County officials envision new travel options — like a direct bus link between the cities — among many benefits of merging several mass transit agencies in both counties into a single Lackawanna-Luzerne Regional Transportation Authority. The state Department of Transportation hired consultant HNTB Corp. to study the move, which would create the state’s third largest transportation authority. The cost of the study was not available Monday. If it happens, Lackawanna and Luzerne county officials foresee having more clout to attract state and federal grant money to improve Northeastern Pennsylvania’s transportation network for buses, the region’s growing rail industry and Wilkes-Barre/Scranton International Airport. There will be snow and rain and everything in between. The big unknown is how much of each. Northeast Pennsylvania is under a winter storm warning through Thursday morning as a system developing along the mid-Atlantic coast pushes inland today with the potential for significant snow, sleet and freezing rain. The National Weather Service said total snow accumulations could hit eight to 12 inches, with the higher amounts in the higher terrain and less in the valleys. Cash-strapped Luzerne County has a claim on at least some of the $2 million left from the Coal Street widening project in Wilkes-Barre, but delays finalizing project expenses have prevented the county from receiving its share. The amount of the county’s share also is unclear because the Wilkes-Barre Area School District may be entitled to some of the fund, officials say. County Councilman Stephen A. Urban raised the issue during a budget work session last week, questioning why it’s taking years for the county to collect this money. The $2 million stems from a Tax Incremental Financing plan, or TIF, that diverted tax revenue from new development along Highland Park Boulevard and at the Arena Hub Plaza to fund improvements to Mundy Street, Highland Park Boulevard and Coal Street . 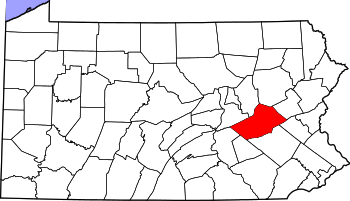 A Commonwealth Court panel dealt another blow Thursday to a proposed international cargo airport in the Hazleton area, as it upheld Schuylkill County Court’s rejection of a special exception for the facility. In a 19-page opinion, the panel affirmed county Judge James P. Goodman’s determination that Gladstone Partners LLC, Pittsburgh, had not satisfied the necessary conditions for a special exception. “The application as submitted did not meet the objective requirements of … (the county zoning ordinance),” President Judge Dan Pellegrini wrote in the panel’s opinion. As a result, barring a successful appeal by Gladstone Partners to the full Commonwealth Court or the state Supreme Court, plans for the airport have ground to a halt. NORRISTOWN, PA – A little more than a year after construction crews broke ground on the first phase of the Lafayette Street extension project, the Montgomery County commissioners awarded a contract for the second phase of the project on Wednesday. The $12.8 million dollar contract was awarded to J.D. Eckman, Inc. of Atglen, Pa. J.D. Eckman, Inc. is not the same company that worked on the first phase of the project. Construction on the second phase of the multi-million dollar project is slated to begin in the first quarter of 2015. Before local developers can build a projected $1 billion in apartments, offices, retail shops and tech suites on the former LTV Steel Corp. site in Hazelwood, they need about $103 million in streets, utility lines and other infrastructure upgrades. Gov. Tom Corbett on Wednesday announced $10 million in state grants to support development at the 178-acre Almono property along the Monongahela River. Drivers relying on Route 100 or 422 to get around next week should plan some extra time for their commute. According to the Pennsylvania Department of Transportation, Route 100 North will be reduced to one lane between Worthington Road and Route 113 in Uwchlan from 9 a.m. to 3 p.m. Oct. 13-17. The lane closure is due to road widening in the area and is part of a $17.4 million project to add a lane to the highway in each direction. PennDOT said slowdowns will occur when traffic is restricted to one lane during construction. The contractor’s schedule is weather dependent. Northeastern Pennsylvania will get nearly $500 million more than expected for transportation projects over the next 12 years. In 2012, area planners expected to spend $1.56 billion on transportation infrastructure in Lackawanna, Luzerne, Wyoming, Wayne, Pike and Susquehanna counties from 2013 through 2025, state Department of Transportation spokesman Michael Taluto said. Gov. Tom Corbett signed the new transportation funding package in November, and transportation planners in the six counties recently allocated $2.03 billion to largely fix up the area’s roads and bridges from 2015 through 2027. The future of transit services in the Mon Valley and throughout Washington County likely will be decided in the next month. 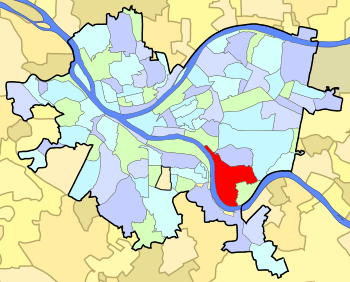 The Middle Monongahela Transit Authority provides services for 21 Valley municipalities. It has been studying a possible merger with Washington County Transportation – also known as Washington County Rides – and the City of Washington Transit Authority. The MMVTA board will discuss a possible merger in a closed-door meeting this week. By the end of September, each transit agency is expected to vote on consolidation. The MMVTA board could vote either at its Aug. 28 or Sept. 25 public meetings. POTTSTOWN, PA – After four months of detours, North Hanover Street is open to traffic. Workers removed barricades, and the road was opened Friday afternoon after the completion of a complicated sewer project. Public Works Director Doug Yerger said the project, which was supposed to be completed in late June, went over-budget and beyond its schedule because of weather and “unforeseen conditions” underground. Specifically, the project replaced a sewer main which had to be buried beneath an underground stream which runs beneath that section of Hanover Street between Jefferson Avenue and Fourth Street. 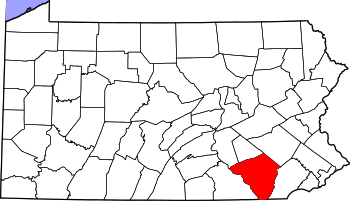 NORRISTOWN, PA — The Montgomery County commissioners took a tour Thursday to see the progress of what county officials are calling “the largest local infrastructure project in Pennsylvania” and found they were pleased with it. Leading the tour was Leo Bagely, a transportation planner at the Montgomery County Planning Commission, who has helped to oversee the first phase of the construction project. BOYERTOWN, PA — Progress on the revitalization of the Colebrookdale Railroad these days means more than pulling refurbished passenger cars along the picturesque 9-mile track on the shores of Manatawny Creek. These days progress is being measured in cars and engines acquired, being fixed up and put into service. The announcement came after the train — pulling cars packed with more than 70 federal and state legislators, county commissioners and municipal officials of all stripes — arrived at the downtown yard to the applause of a crowd that had gathered to welcome it. Thomas Gallagher Jr., according to officials and court records, was pressing his luck for years. A decade-long history of alcohol-related legal troubles — including two DUI charges — weren’t stopping him from getting behind the wheel. His own passengers, it was learned Thursday, were pleading with him to pull over Tuesday prior to a crash in West Lampeter that killed Meredith Demko, a recent high school graduate. On Thursday afternoon, police filed additional charges of vehicular homicide while DUI. Gallagher’s blood-alcohol level was about three times the state’s legal limit at the time of the crash, documents show.